A fine and massive doggo, would attempt to let him sit on my knee without crushing me - 12/10. Everyone likes Gogglebox, and everyone likes dogs. So naturally, people were exceptionally happy when the two were combined last night in giant form. The dog in question, wonderfully named simply "John", is owned by the McCormick family and made his debut on the Channel 4 last night as he showed off his array of skills which included giving the paw and somehow not destroying absolutely everything in his path. The St. Bernard, shown above unleashing his signature trick of lifting up a single appendage, was a hit among viewers, many of whom remarked on what an absolute tank of a fella he is. 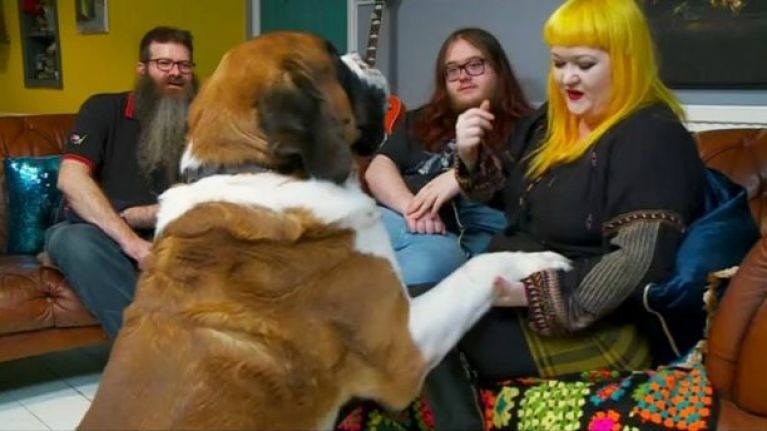 If nothing else, this outpouring has shown us that Gogglebox viewers love their dogs, presumably if they have a name which makes them sound like they're your brother's mate, while also being roughly the size of your brother's mate. Good work John.